Dr. Atkins revolutionalized the dieting world when he introduced the Atkins diet, a low-carb eating program. The Atkins diet or the "Atkins Nutritional Approach" is a lifetime nutritional philosophy. The diet claims that you can lose weight on a high-fat, high-protein diet. It works on the premise that a healthy lifestyle requires a limited amount of simple carbohydrates, protein, exercise and proper portion control. The diet plan works on 4 general principles; weight loss, weight maintenance, good health and disease prevention. Today, the Atkins diet is the most popular, longstanding approach to weight loss in America. Over 40 million people around the world have joined in on the Atkins revolution and more than 15 million overweight men and women have bought Dr. Atkins' best selling book "New Diet Revolution". There is even a professional body (The Atkins Centre for Complimentary Medicine) devoted to educating Atkins followers. The Atkins diet holds the controversial belief that low fat is not the only way to go for a healthier lifestyle and weight control. Dr. Atkins blamed carbohydrates (grains, pastas, fruits, potatoes) for weight gain. He believed that if you reduced your carbohydrate intake then you would lose weight. Too many carbohydrates in your diet encourage your body to retain fat. When the body absorbs simple carbohydrates quickly, it causes an insulin response that speeds the conversion of calories to fat. The plan focuses on the consumption of nutrient-dense, unprocessed foods and vita-nutrient supplementation. It also restricts processed and refined carbohydrates (which make up to approximately more then 50 per cent of people's diets). It encourages you to eliminate sugar from your diet as this contributes to a slower metabolism. Phase 1 (Induction) you restrict carbohydrate consumption to 20 grams each day, obtaining carbohydrate primarily from salad and other non-starchy vegetables. Phase 2 (Ongoing Weight Loss) you increase carbohydrate in the form of nutrient-dense and fibre-rich foods by 20 grams daily in the first week and then 30 grams daily in the next week until you gradually lose weight. Then you subtract 5 grams of carbohydrate from your daily intake so that you continue sustained weight loss. Phase 3 (Pre-Maintenance) you make the transition from weight loss to weight maintenance by increasing the daily carbohydrate intake in 10 gram increments each week. Phase 4 Lifetime Maintenance) you select from a wide variety of foods while controlling carbohydrate intake to ensure weight maintenance. 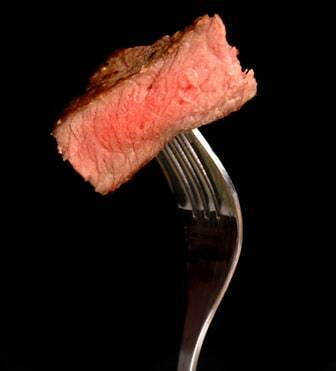 There are mixed views on the Atkins diet amongst health experts and dieticians. Many experts are critical of low-carb diets but have not totally discounted the Atkins diet as an effective method of losing weight. Although they do assert that it is too early to adopt the low-carb diet, health experts do concede that it is worth exploring. One main criticism of the Atkins diet is that it does entail frequent meat consumption. However, followers argue that the program can be tailored for different preferences and metabolisms. After the first phase (known as the "Induction phase") the Atkins diet plan can be modified. Despite the immense popularity of the diet, the Atkins diet plan continues to have many sceptics. Another criticism of the diet purports that a person is unlikely to keep the weight off over the long term. However, this claim could just as easily be applied to many low-fat or low-calorie weight loss plans, on which dieters are likely to feel hungry. Not ideal for vegetarians or vegans as it is a meat-heavy (protein) diet. Linked to osteoporosis, heart disease, colon cancer and renal disease. High in saturated fats and cholesterol. Is sometimes below the recommended daily values for several vitamins and minerals such as calcium, potassium and magnesium. Allowed to eat fat and protein. Steady (and sometimes rapid) weight loss. Reduces intake of sugars and processed grains. A ‘never be hungry’ approach to dieting. The American Heart Association (AHA) does not recommend high-protein diets for weight loss. They argue that the Atkins diet has not been proven effective for long term weight loss. They are critical of the Atkins diet's focus on a high-protein diet that emphasises foods like meat and eggs that are rich in protein and/or saturated fats. The diet is not recommended because it restricts healthy foods that provide essential nutrients. They also criticise the Atkins plan for its high cholesterol, fat and protein content and its low-fibre intake. The AHA asserts that most people already eat more protein and fat than their bodies need, and eating a high-protein, high-fat diet raises the risk of many types of disease. The most serious claim against the Atkins plan is that it's linked to a number of potential health risks such as osteoporosis, stroke, coronary heart disease, a propensity to form kidney stones, liver disorders and diabetes. There are a number of misconceptions surrounding the Atkins diet plan, the most popular of these is the misconception that you consume mostly red meat and can never eat carbs. Many people view the diet as a bacon, burger and butter diet, however one of the benefits of the Atkins program is that it gets you away from eating too much sugar and processed foods. The Atkins plan reduces (rather than excludes) your carbohydrate intake (like sugar, white flour and white rice). Another misconception is that you can eat all you want while following the Atkins program. Although the program refuses to accept hunger as a way of life, it does believe in the philosophy of moderation. Eating a well-portioned and satisfying meal is an extremely important part of the Atkins diet. The Atkins plan teaches you to control your portion sizes. In response to criticisms that the Atkins diet is linked to disease - contrary studies have shown that over a four month period, the Atkins diet helped a group of people drop an average of 21 pounds, lower their cholesterol and triglyceride levels and raise HDL ("good" cholesterol). Advocates of the diet argue that people at high risk for chronic illnesses such as cardiovascular disease, hypertension and diabetes will see a marked improvement. They go even further to claim that by following this plan you are actually laying a permanent groundwork for disease prevention. Generally, critics are sceptical of how a high-protein, high-fat diet can result in weight loss. Research shows that people can keep off weight lost with the Atkins plan as long as they don't go back to eating the way they used to eat. People have successfully lost weight with this approach for over thirty years. Several studies have shown that men and women lost twice the weight on the Atkins plan, compared to those individuals following a "high-respected" low-fat diet. Studies show that dieters typically lose more weight when they linked up with the Internet - a virtual dieting community where dieters can obtain weight loss information, Atkins diet recipes and contact other dieters who are sharing the same goals. On the Internet, followers can also get a personalised Atkins meal plan and 24/7 peer and professional support without leaving their home.